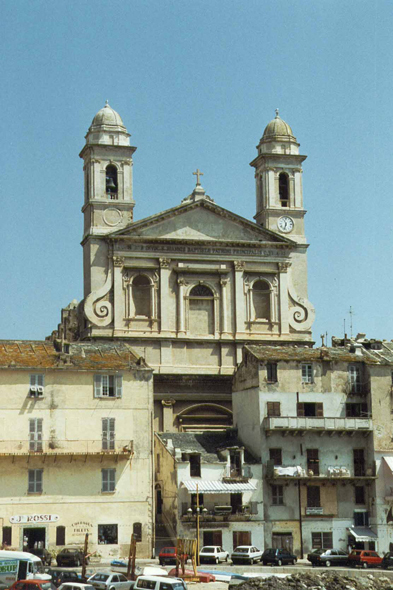 The church Saint Jean-Baptiste of Bastia. The high traditional frontage of this vast building, fixed between two fines towers, dominates the old port. This parish church was raised from 1636 to 1666, it is vastest of Corsica.